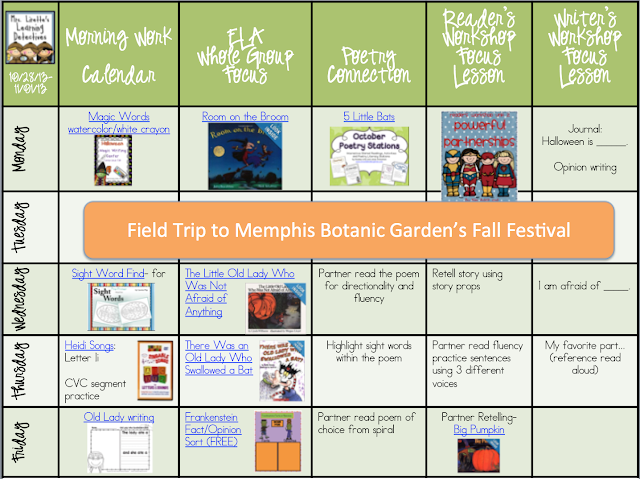 Mrs. Lirette's Learning Detectives: Halloween Plans and an Old Lady FREEBIE! It is Halloween week! 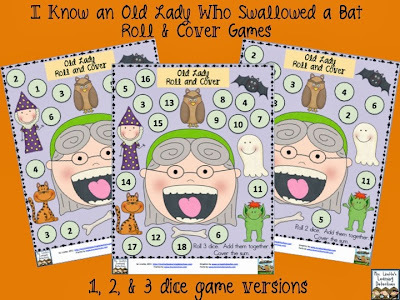 We have a field trip AND a fall party this week...I have a feeling things are going to get a little bit crazy so perfect time for some Roll and Cover fun, right? Here's another Old Lady one to go along with There Was an Old Lady Who Swallowed a Bat. There are 3 versions: 1 die number recognition, 2 dice- adding 2 sums, and 3 dice- adding 3 numbers. 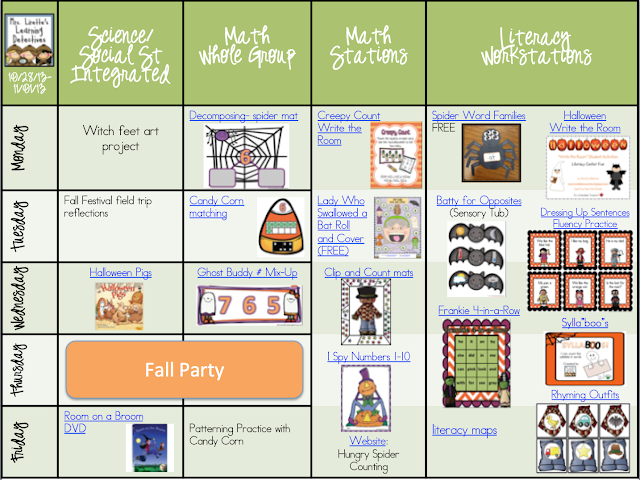 We will be doing many activities from my new Frightfully Fun literacy and math pack. I will also be pulling out Sylla"boo"s Syllable Sort which was a BIG hit last year! Click the picture to open the plans in GoogleDoc. Don't forget you have to download them to make the hyperlinks interactive.